When NETGEAR, the leader in home networking devices, decided to expand into the Smart Home space, they reached out to Busse Design to help develop a new identity for their new product family. At the start of this project, the client’s team had already settled on the name “Arlo” so our task was to design an identity around it, and convey the brand personality traits: Trustworthiness, credibility, friendliness, and approachability. Arlo is about giving its users a feeling of assuredness and peace of mind, so we felt that it was necessary to explore objects and animals that could be personified, as knowing “someone” is there communicates this feeling of being taken care of. When you think of Arlo, you want to think of a trusty companion that has your back. 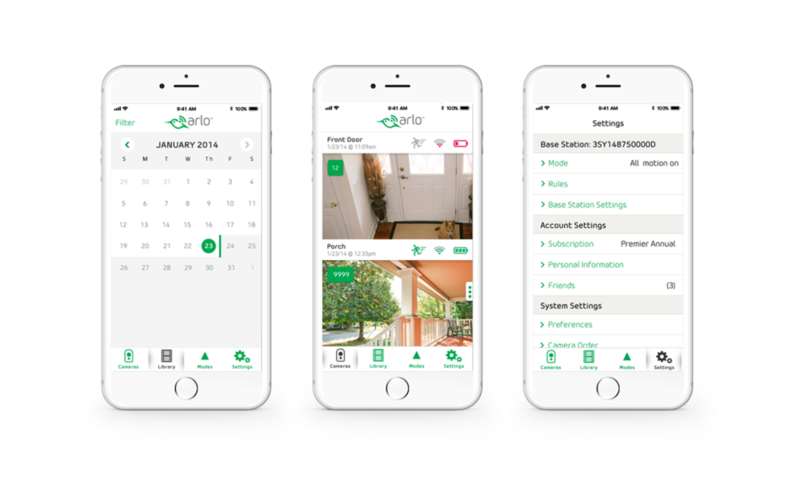 Moreover, we wanted to make sure the Arlo functional benefits were also communicated through the brand: It should feel easy, uncluttered, and clean, just like the user’s experience with the technology. Looking at the competitive space, we noticed the same cleanliness in brand design, but noticed a lack of this personality: Competitive brands focused on the devices themselves or the technology. Arlo stands apart as it is about the relationships the technology affords: Knowing that friends and family are okay by being able to stay aware of activities in the home. In our exploration of the brand, we provided a wide variety of concepts that communicated personality, simplicity, and easiness. We provided concepts that ranged from animals to anthropomorphized homes, all with the goal of creating an identity that met the brand objectives. We presented these concepts in a variety of contexts and colors to help the NETGEAR team envision how this brand could be used at launch and grow in the future. In the end, we all landed on the hummingbird concept. It was ideal as it communicated the simplicity, maneuverability of the devices, and most important of all, it was friendly and approachable. As an added benefit of this mark through the use of “WiFi wings”, we were able to communicate the “100% wire free” value proposition of many of the Arlo products. The hummingbird stands apart from its competitors--Arlo is a trustworthy companion to keep you apprised of the happenings in your home; not just some piece of technology that sits on a shelf.